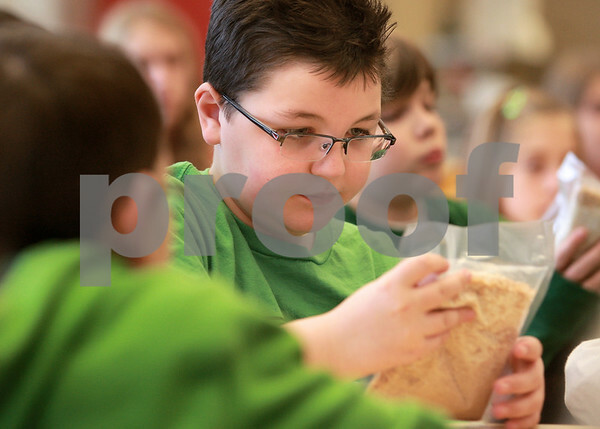 Benji Prendergast, a member of EarlyACT, looks at a bag of non-perishable food that is passed around by Joel Howells. The food is what Feed My Starving Children sends to other countries to help feed children. The EarlyACT group honored Howells Tuesday morning with an award for public service with Feed My Starving Children.